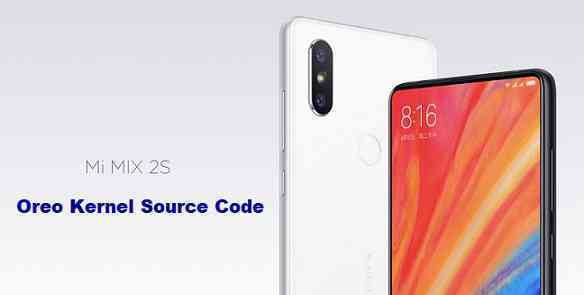 Xiaomi has recently released the kernel source code for the recently released Mi Mix 2s Android phone. Well, this is pretty much fast. This might be the effect of outrage among the developer community for Mi A1, the first Android One phone for which Xiaomi delayed the release of kernel source code. Android being an Open Source project, has definitely revolutionized the Android development process and was able to grow much faster in terms of features, because more and more developers and of course OEMs have directly contributed to AOSP (Android Open Source Project). LineageOS formerly known as CyanogenMod was possible because of the Android Open Source project. More and more developers took interest to add features to CyanogenMod hence became the world’s most popular Android custom ROM. Many users are waiting for the kernel source to be released so that they can have TWRP recovery for their device, which in turn will help in rooting the device. Also many users are waiting to try the custom ROMs on their device. I hope you now understand the importance of releasing the kernel source code for a device. Having the kernel code released for the Mi Mix 2s now you can have TWRP custom recovery for the phone, hence rooting is possible. And also, developers will start building LineageOS, Resurrection Remix OS and other Oreo custom ROMs for Mi Mix 2s. Keep an eye on the Mi Mix 2s forum for more updates on TWRP, Rooting guide and LineageOS 15.1 and other Oreo custom ROMs. Here is the Mi Mix 2s Oreo kernel source code link on GitHub.